You’re doing your best, putting in the hours, and working hard to make sure you maintain a strong web presence. You’ve got a website up and running, have a strong content marketing strategy, and have even been dabbling with social media advertising. Chances are, you’ve got traffic rolling in, and are seeing a steady stream of conversions. Hold on a second, there’s just one other thing: I’m here to tell you that you COULD be doing better! At first glance, this may sound somewhat rude or presumptuous, after all, who am I to tell you that you could be doing better, and how do I know that you could in the first place? The honest answer? I don’t. And you don’t either. Unless, that is, you have a quantifiable way to measure whether what you’re doing, is in fact the best that it can be. Enter: split testing, also known as A/B testing; the only way to track exactly what you’re doing, and compare it with another way of doing things, to see which way’s better. It sounds complicated, but I’m here to assure you, it’s not. If you’ve got Google Analytics, WordPress, or even an ad campaign on Facebook, then you can start split testing your efforts, almost effortlessly. The fact is split testing works and 75% of the top 500 online retailers are using it. But it’s not just something that the big companies do, any company can use it to improve their portal, increase revenue, improve conversions, drive more sales, provide a better customer experience, and make sure they’re getting the most out of their advertising budgets. 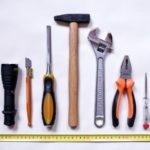 If you’d like to ensure that your website’s performing as well as it can be, and make sure you’re getting the most for your efforts, here’s a look at how split testing can be one of your best methods for discovering what’s working, and what’s not. First, let’s look at how split testing works. 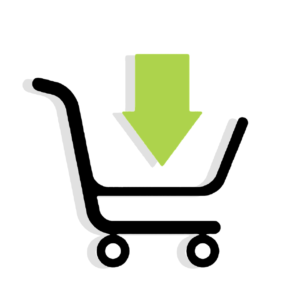 With split testing, you create two slightly different versions of something, and see which one performs better. The version you’re currently using is called the control, and the different version that you’re testing is called the variant. 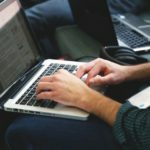 Split testing is commonly used for ad campaigns or website features, but it can also be used for promotional materials, emails, headlines, and more. 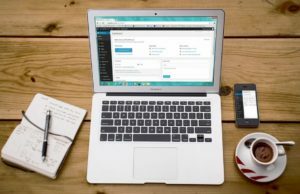 In the case of emails, sales letters, and landing pages, you could set up the split test, and have every other prospect see the test version. This way, you can measure click-throughs, conversions, and all that good stuff, to see which one’s working better. With the case of website features, you can simply track metrics like traffic and conversions using the control, and then using the variant, to see which one’s more effective. When it comes to social media ads, there’s usually an option to set up multiple ads, allowing you to track which one works best. Product pages –test product descriptions and pricing, create a sense of urgency with flash sales, limited numbers, free shipping until a certain time, add customer testimonials, test high-quality photos, change the font, adjust the colors. And more. When it comes to split testing, the sky’s the limit! I will tell you as well, often, when it comes to split testing, the results that you’ll get will surprise you. Often, small things will have a bigger difference than you’d think. For instance, with my website RTA Cabinet Store, I experimented with testing different things on my website. We simplified the shopping cart a bit, and put a Norton security badge on the shopping cart page. The results? An 18% increase in revenue, and a 23.9% increase in completed carts! Shocking, really, considering that the changes were so small. As you can see the only real change is the addition of the Norton badge, and the fact that the shopping cart was cleaned up a bit. But I’m not the only one who’s experienced big results from small changes; many other companies have discovered the same thing. SAP BusinessObjects, for example, replaced its original small blue “add to cart” text link with a large, orange button, and saw their conversions increase by 32%! Corkscrew Wines tried adding sale information in a red circle over the product image. The result was a whopping 148.3% increase in sales! The moral is, don’t underestimate even small changes; they just might have a big impact. 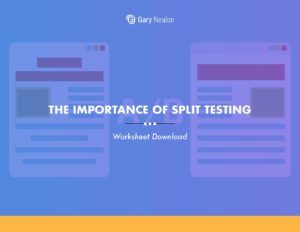 Get our The Importance of Split Testing Worksheet delivered right to your inbox. Let’s take a quick look at some more benefits that split testing can offer. No matter what type of content you’re working with –a landing page, a blog post, or email, split testing allows you to gauge which one attracts more views –and engagement. 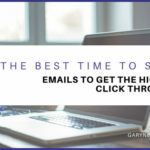 For example, you could try creating two different emails, MailChimp makes this easy to do, and then segment them to go to two-halves of mailing your list. Then, you can track your metrics to see which email was a bigger success. If you’ve spent time and effort creating a webpage, the last thing you’d want is for your visitors to click away from it, without spending any time reviewing what you have to offer. With A/B testing, you can test different variables, and then take steps to reduce your bounce rate considerably. Even small changes that you might not think would have that big of an impact on your bounce rate, can. Whether it’s tweaking fonts, buttons, colors, or other things, split testing will show you what you can do to keep your visitors around longer. For any e-commerce store, the goal is to convert visitors into customers. With A/B testing, you can find out what the best strategy is for creating content or ads –that convert. 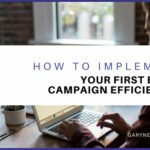 By taking the time to create two versions, with slightly different variables, it’ll become clear what’s working and what’s not, showing you what you can do to convert more leads. In addition to increased conversions, A/B testing can also help you to achieve higher conversion values as well. For example, if you find a page that’s not converting very well, it doesn’t mean that you have to delete it and start over. Instead, it may be a case of making some simple adjustments to different aspects of the sales funnel to see which ones get the best results. For instance, you may find that customers are more willing to jump at more costly options since they offer more perceived value. Or, you may discover that adding a series of discounts that rewards your customers for bigger purchases leads to much bigger sales. Abandoned cards are a real issue that most e-commerce stores face. According to Baymard Institute, 69.23% is the average documented online shopping cart abandonment rate. While there are many reasons that people abandon their carts, by making adjustments like where shipping costs are displayed, the shopping cart text and colors, and adding a security badge can all help you to discover what you can do to encourage customers, with their full carts, to carry through with their purchases. Understanding the common reasons for cart abandonment is a good place to start, and can help you to develop a plan for adjustments. Finally, last but certainly not least, A/B testing can also lead to increased sales. It really works, and when done properly, it can be a great way to increase your bottom line. Now that you’re ready to dive in and start testing everything, I’d advise you to slow down and take a more strategic approach. The problem with split testing indiscriminately is that you quite literally could test all year and still wouldn’t run out of things to test. 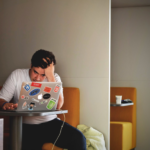 By taking a more calculated approach, you’ll be able to identify the areas that are likely to benefit the most from testing, and use your time, or money, wisely. First, you’ll want to keep your goals in mind when split testing. What is it that you’d like to accomplish? 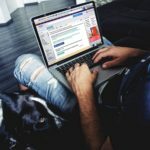 Is it a lower bounce rate, more unique visitors, more conversions? Once you’re clear on your goals, you’ll be able to start tracking different metrics to see what your control’s numbers are like, and what the variant’s numbers are. Tracking your unique visitors is a great way to see how effective your campaign is at reaching out to new potential customers. While traffic is important, seeing how much time people spend on your pages during each visit will let you know how responsive your target audiences are to your content. Again, traffic matters, but even if you’re getting a lot of it, if no one’s staying on the page, your campaign isn’t performing as well as it could be. Your bounce rate will show you how much traffic actually converts, allowing you to pinpoint high-conversion campaigns. Measuring your conversion rate is the ultimate metric when split testing. 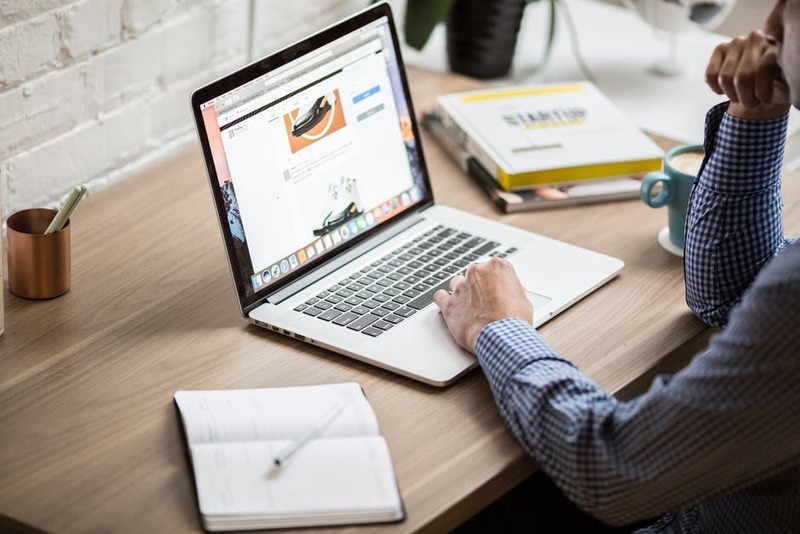 Of course, your conversion rates will vary depending on the goal of the landing page itself, whether it’s designed to collect information from visitors, inform or educate them, or actually lead to a sale. Now, let’s take a quick look at how you can get started with split testing. Remember; don’t just change things for the sake of testing. Ideally, you’ll want to have a data-backed hypothesis to back up your reasons for testing. First things first, if you don’t have one already, make sure you get ahold of Google Analytics, Kissmetrics, or another analytics program. Then, take a look at the existing data for the webpage, email, or ad and see how it’s performing. Next, set a goal for it. Is it to decrease cart abandonment, or increase opt-ins? Now, create a hypothesis for how to reach that goal. For instance, you may suspect that you’ll be able to reduce abandoned carts by adding an element of security to the shopping basket. Create a variation to test your theory. Run the test, choosing an adequate length of time. Make sure there’s nothing else happening at the same time, like a sale, that would skew the numbers. When the time’s up, analyze both sets of data. Be sure to implement the best variant. It may seem a bit more time-consuming, but trust me, having data to base your hypothesis on, and testing with specific goals in mind will make for a far more efficient and rewarding process. 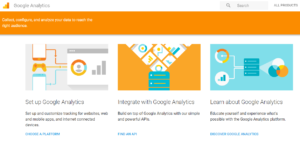 There are plenty of different tools for you to choose from, but the simplest may be using Experiments which is a part of Google Analytics –if you already have Google Analytics, that is. To get started, go to Analytics – Behavior – Experiments – Create Experiment. Make sure your conversion goal is set up before you go. If you’re testing your WordPress blog, you can get A/B testing tools that allow you to split test in your dashboard. While you probably have a pretty good idea of what your customers want, the truth is you can never be absolutely certain. In the ultra-competitive world of e-commerce, where you’re up against plenty of other companies, it pays to ensure that you’re doing everyone possible to attract, and convert prospects. A/B testing allows you to get inside the mind of your audience, showing you what changes can have a positive impact on them. When you start to cater to your audience, you’ll be able to provide them with more value; leading to more traffic, better conversion rates, and more successful ad campaigns. Have you tried split testing for your website, email, or ad campaign? What did you learn?